What’s a Mediterranean Diet Look Like? Essentially, the Mediterranean diet consists of fresh vegetables, fruit and the occasional drink. Instead of overly processed foods, the Mediterranean diet promotes fresh salads dressed with olive oil, plenty of fresh fruit, hummus, beans and pasta. It’s well-known in the medical community that everyone’s brain shrinks in volume as they get older. Unfortunately, smaller brains are more prone to brain diseases like dementia later on in life. However, recent studies show that a particular diet may be the key to maintaining a healthy-sized brain. This year researchers at the University of Edinburgh in Scotland reported that a Mediterranean diet improves brain health. Over the course of three years, the study followed about 400 participants in their mid-70s. Ultimately, they concluded that this diet prevents the loss of brain volume while aging. The participants’ brains over the trial period shrank at about half the rate typically expected for people in their mid-70s. Since the Mediterranean diet reduces brain shrinkage, it helps older people tolerate more “brain pathology – more brain disease – than those who have smaller brains,” says Dr. David Knopeman, a professor of neurology at the Mayo Clinic in Minnesota. Therefore, those following a Mediterranean diet are in theory less likely to develop Alzheimer’s. 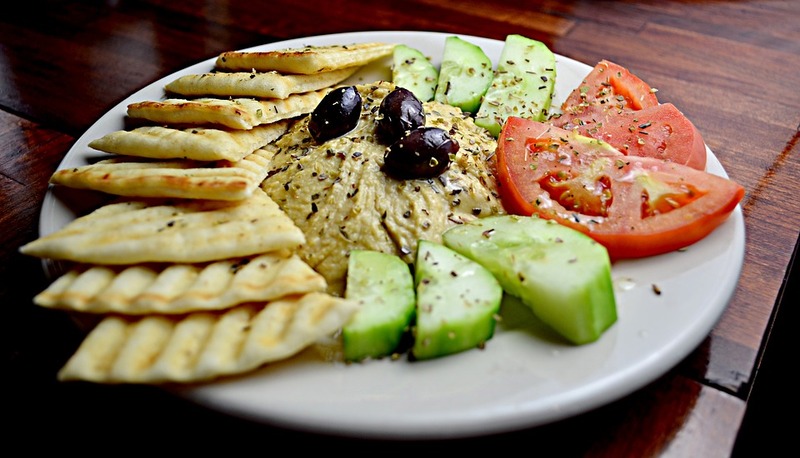 Additional research has also linked the Mediterranean diet to improving other health problems like heart disease, stroke, and cancer, as well as obesity, diabetes, and hypertension. Moreover, people who eat healthily also tend to exercise more and not smoke. Overall, the Mediterranean diet improves health and prolongs the average lifespan. Eating right and staying active are all important for maintaining a healthy lifestyle. However, life is unpredictable. That’s why it’s important to protect yourself and your family from any curve balls life may throw your way. Health insurance – whether qualified or short term – and accident plans help when the unexpected happens. Get covered today by contacting one of our licensed agents! Get affordable health insurance quotes by clicking here. For immediate assistance, call us toll-free at (844) 410-1320! Because insurance is oftentimes overwhelmingly confusing, we want to shed light on this industry by answering YOUR questions. So if you have any questions or concerns, comment below and your question may be the topic of our next video! Preventive Care: Are You Using This Benefit? Diseases Inherited from Generation to Generation: Do You Know Your Risk? Can Improving Heart Health Help Lower Risk Of Memory Loss? Laziness: Will a Sedentary Lifestyle Be the Death of Us All? Will Healthcare Company Mergers Continue? How Can Blockchain Usage in Modern Day Healthcare Help? Are You Overspending on Trying to Stay Fit at the Gym? Will Anthem’s Merger with Aspire Give Them a Competitive Edge? Cessation Treatment Becoming an Expansion of Medicaid? Millennials, Do you Have Debt? Is There a Link between Mental Health and Allergic Conditions? Why Can’t I Focus On The Task At Hand? Are E-Cigs Really a Healthier Alternative to Cigarettes? How Do We Save Money for Retirement and Emergencies? How Can We Combat Allergies during the Spring? What Does It Take to Be a Successful Leader? How Can Apple Make Health Records More Accessible? What Does the $1.3 Trillion in the Latest Spending Bill Fund? What Will Social Security Look Like for Future Generations? What Will Be the Future of the Affordable Care Act? How Bad Is Fast Food for You? Uber Health: Getting to Your Doctor Appointments Just Got Easier! Mental Health in America: How Should We Handle It? What Is Considered a Pre-Existing Condition? Are AI Bots the Future of Healthcare? Stop-Gap Passed: What Will the Government Do Next? Will AHP Make Healthcare Cheaper? Will Congress Resolve the CHIP Funding Dilemma? Are Video Games a Health Hazard? CHIP: Will CHIP Be Discontinued after 2017? Why Am I Always Cold? Does the Cold Weather Actually Make You Sick? How Does Caffeine Affect Our Bodies? Why Is the ACA so Successful in the 2018 OEP? What Is the Tax Cuts and Job Acts? What are the 2018 ACA Rates for this Open Enrollment Season? What Is COBRA Health Insurance? Why Buy an ACA Health Plan Instead of Self-Insuring One’s Own Medical Expenses? How Much Do You Know about the Health Insurance Tax Penalty? Are You Going to Watch the Solar Eclipse on August 21st? Be Sure to Wear Protective Eyewear! Dave’s Corner: What Is a Deductible, Co-Payment, and Co-Insurance? Will the Government Ever Repeal and Replace Obamacare? Do You Know Your 13 Essential Vitamins? Why Do We Celebrate April Fools’ Day? Wake Up America! You Need Your Sleep! Flossing: Is It Worth All the Hassle? Is Your Coffee or Tea Laden with Unnecessary Calories? Survey: What Do People Want Most from Health Insurance? ATTENTION: Carriers Are Not Renewing Clients! What Happens if You Miss Your Open Enrollment ACA Deadline? The First Open Enrollment Deadline Is Fast Approaching! Terms Defined: Co-Payments, Co-Insurance, Deductibles, ETC. Group Health: What Are Level-Funded Plans?